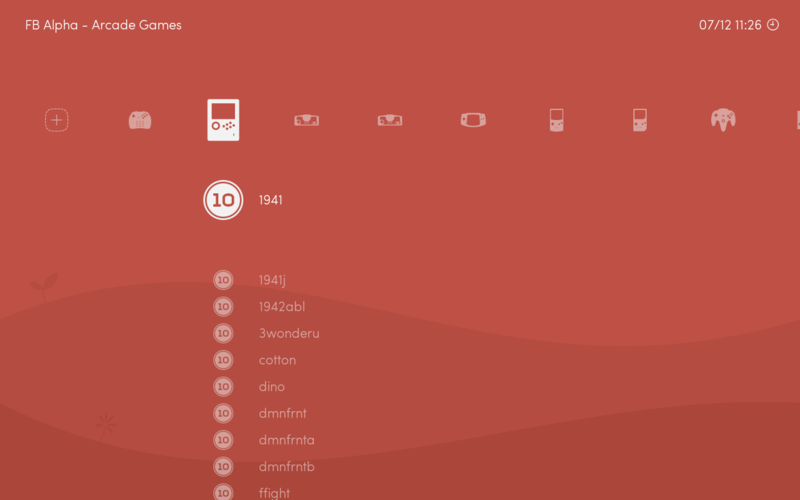 Playlists are the lists of games displayed under each joypad icon in the Lakka graphical interface. Playlists can be generated automatically by the ROM scanning process or be created by users and uploaded to the Lakka device. Playlists are located within the playlists folder which is accessible via SAMBA. Lakka includes an internal database that can be used to scan ROMs from many kinds of systems in order to automatically generate playlists. In order for the playlist scanner to recognize the ROMs from these systems, they must be formatted according to a standard which varies from system to system. Generally speaking, Lakka will detect and use the correct core for use with the ROMs that are used as part of a playlist. Under some circumstances, it may be useful to manually set Lakka to use a particular core for one of its playlists. This can be accomplished within the Playlists submenu in the Lakka settings. Each playlist is a plain text file, and each entry in a playlist must be composed of 6 lines. Link to the database entry (optional). In this case the link is done by CRC, and in some other cases it is done by serial number. You can omit a link to the database by using the word DETECT here instead. Note the # in the path. Custom playlists can be generated by some simple scripts. This is particularly useful to generate playlists for systems not supported by our scanning process yet. ./scan.sh "/storage/roms/arcade/*.zip" "/tmp/cores/fba_libretro.so" "Arcade (FB Alpha - SVN)" "FB Alpha - Arcade Games.lpl" > "/storage/playlists/FB Alpha - Arcade Games.lpl"
#./scan.sh "/storage/roms/arcade/*.zip" "/tmp/cores/fba_libretro.so" "Arcade (FB Alpha - SVN)" "FB Alpha - Arcade Games.lpl" "/storage/playlists/"
echo " Scaning \"$1\" for \"$3\" ROMs and adding to \"$5$4\"... "
echo "$CA - Adding $filename"
echo "$CS - Skipping $filename"
echo " Added $CA and skipped $CS \"$3\" ROMs out of $(($CA+$CS)) scanned files to \"$4\" "
Adding your own icons is also possible, there is an overlay system in Lakka that allows you to override the content of /usr/share/retroarch-assets by placing files in /storage/assets . You have to replicate the same folder hierarchy.